Yes, I was here just for the Peking Duck and while this 7 storey mammoth of a restaurant serves a large menu, the duck is their star attraction. 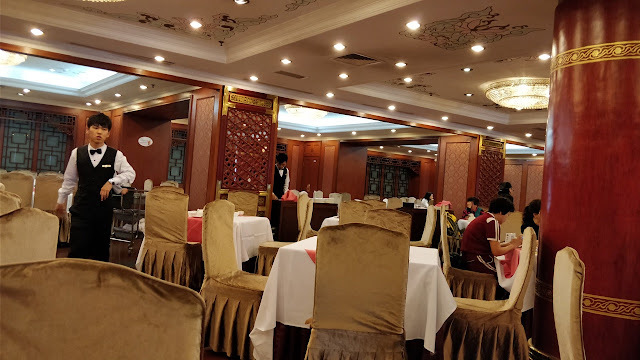 Apparently owned by the administration, located on the famous (or infamous) Wangfujing street, this is where the dignitaries go when they either have a craving for or being showcased the famed duck. Photos adorn the walls like visa stamps. While compared to Da Dong, the duck is simpler, the condiments lesser and the the casing just the pancakes as opposed to having the sesame pockets, the duck is slightly crispier, less fancier and the Thai phrase of "Same same, but different" is apt here. I've nothing more to add, but some details. The ambiance does reflect the whole dignitaries dining scene; a tad dated, but boldly decorated in red and gold. 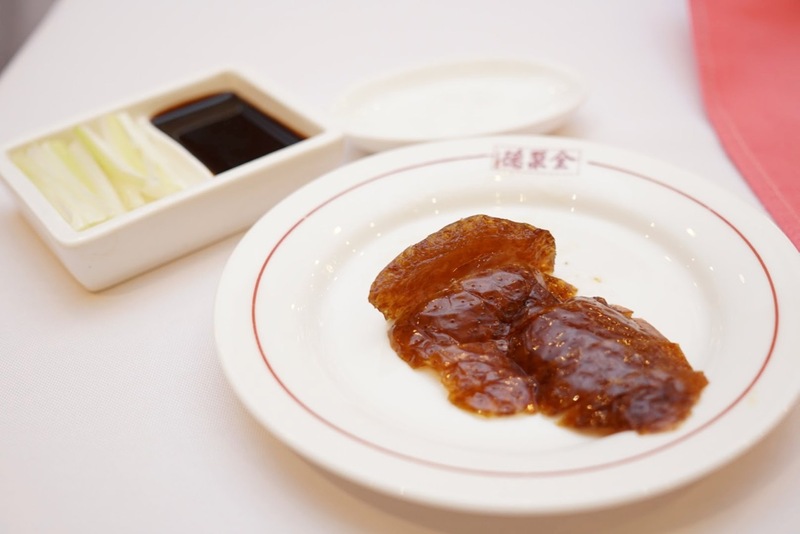 With no frills, the condiment choices are one - sugar, pancakes, soy and spring onions. No cucumbers and no sesame pockets. Yes, you can order half a duck and as usual, the whole duck is carved on table. You also get the bland duck bone soup at the end of it, if you, like me ate half the duck alone, you might like the bland soup to wash it down, but otherwise for a tourist, I don't see what purpose the soup serves. Besides, the leaner duck and the crispier skin, there is little to differentiate the duck once the sugar dipped skin is out of the way. The flavours are excellent, the pancakes soft and yes, one person can swallow half the duck rolled away. 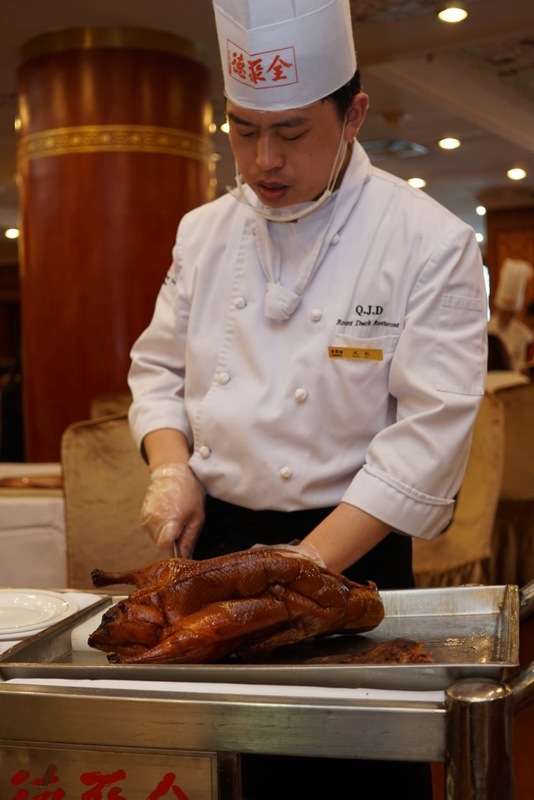 Yes, the Peking Duck is to be had only in Beijing. 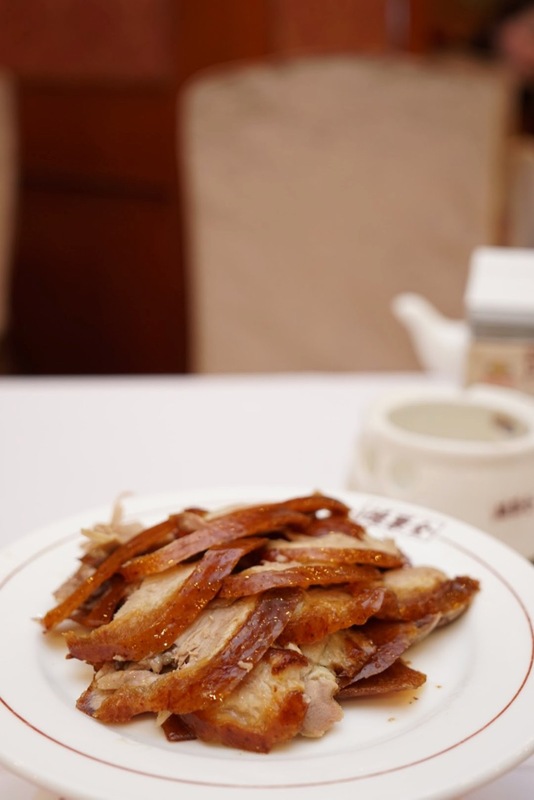 Having tried it in a few places, it was a dish I hated until I arrived in Beijing. Nothing comes close.